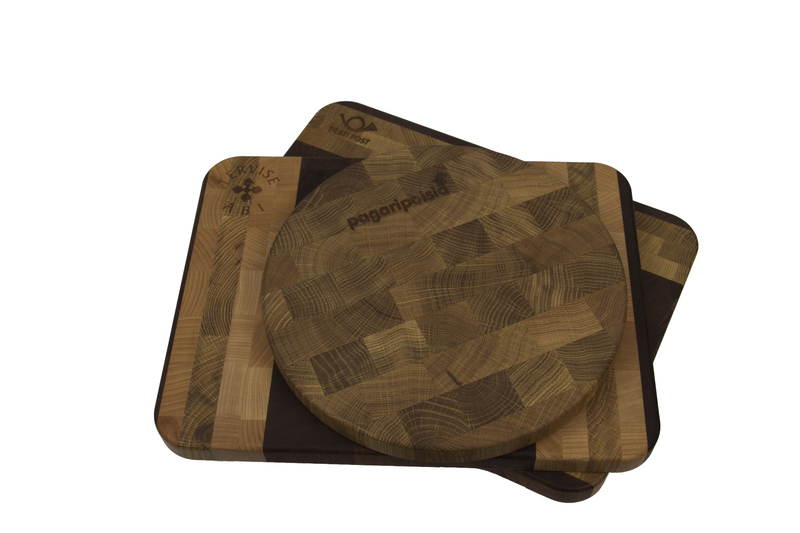 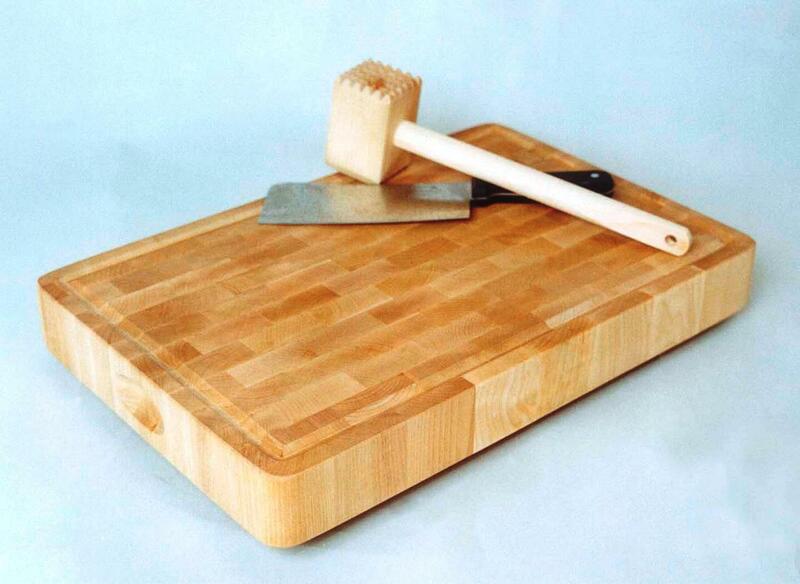 The chopping boards are bigger and more durable cutting boards. 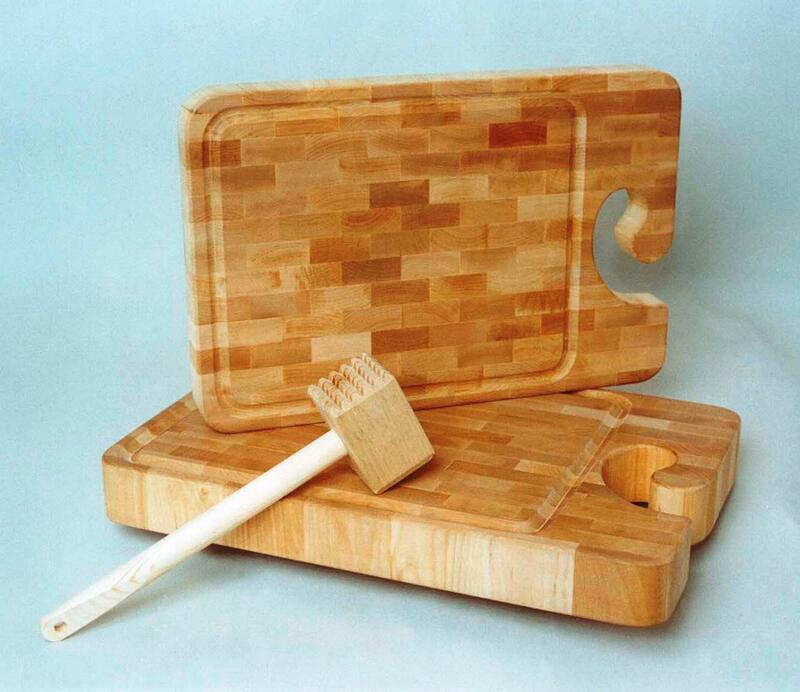 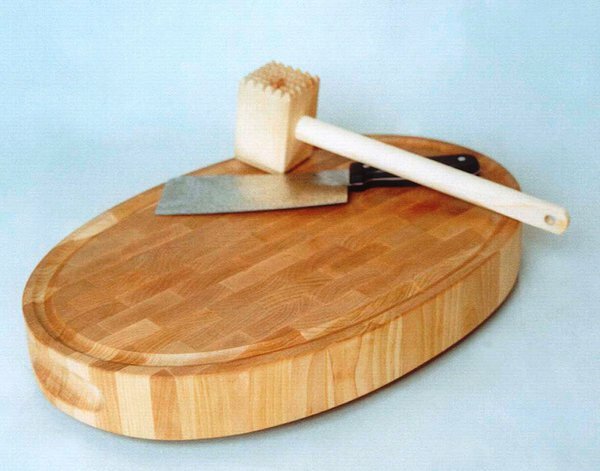 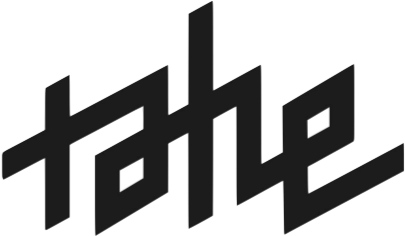 Like the kitchen trolleys, the chopping boards are also made out of up-block wood (small wooden blocks glued together) giving the product the durability it needs and also the uniqueness only wood patterns can offer. 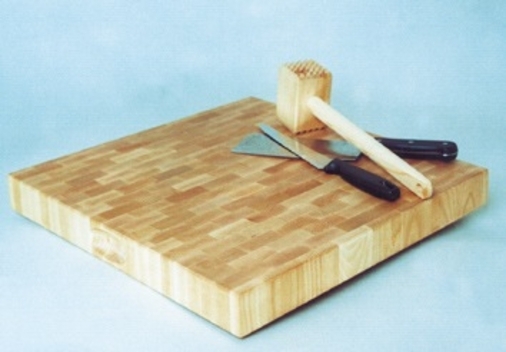 We're able to design and manufacture a variety of wooden table covers and trivets. 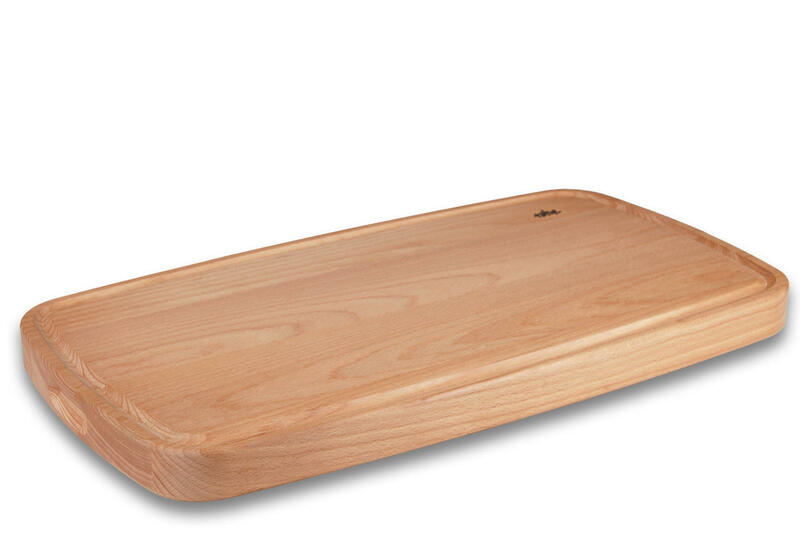 With this, we're a help to big kitchens and different catering establishments. 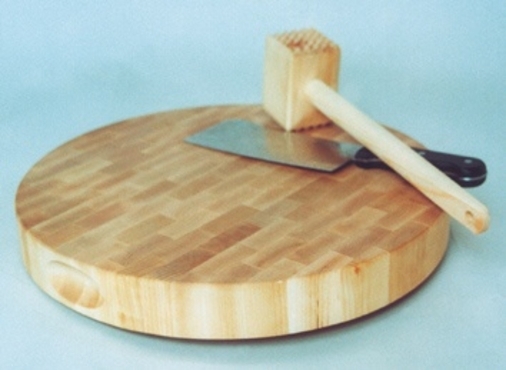 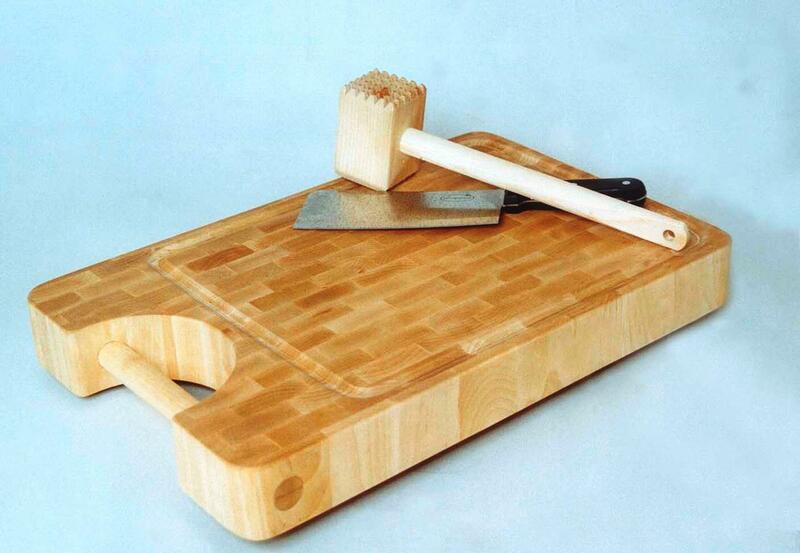 You can use the chopping board to shop meat, frozen goods or tendering the meat - the chopping board can take that. 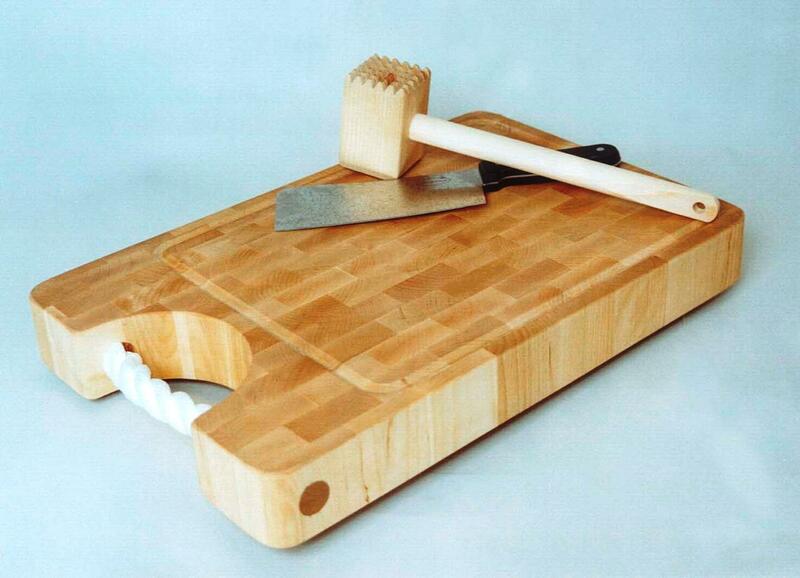 As the board is heavy, there's no need to worry it'll move.